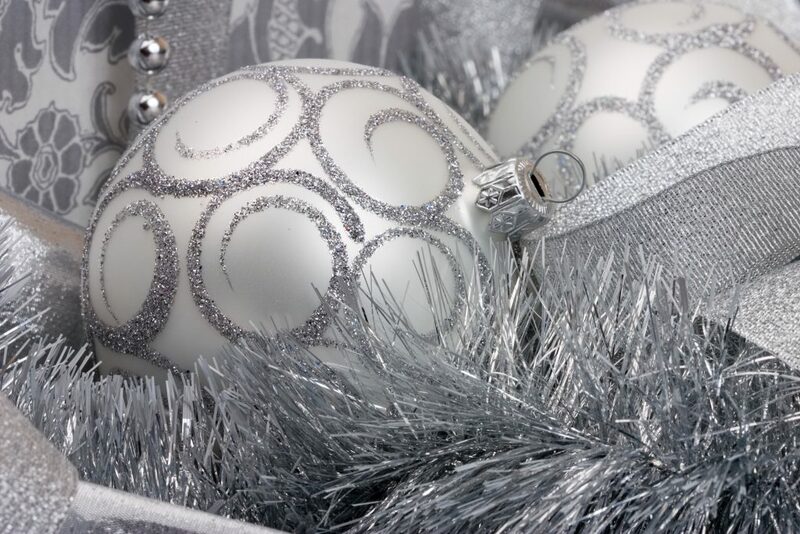 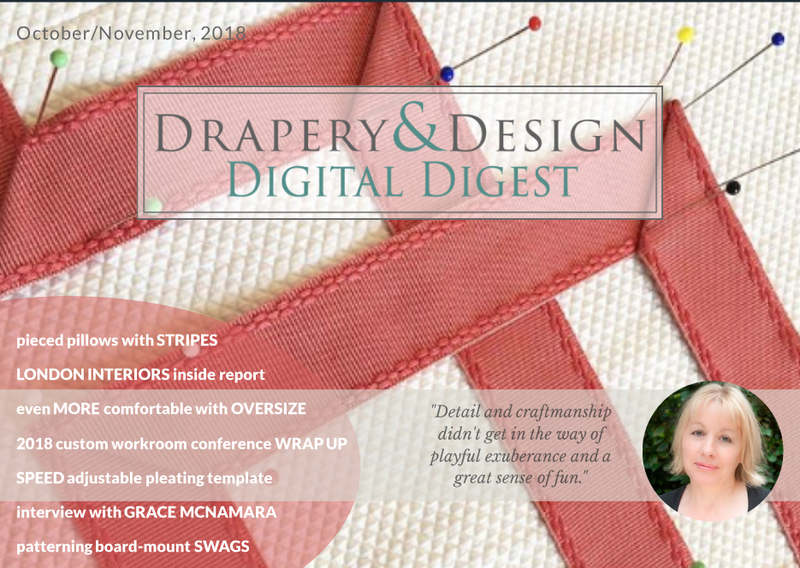 The October/November 2018 issue of Drapery & Design Digital Digest is here! 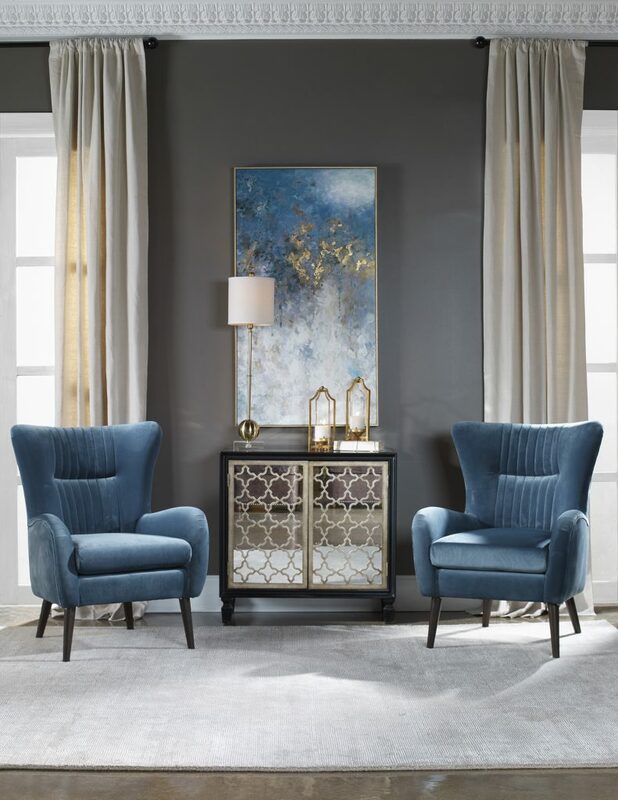 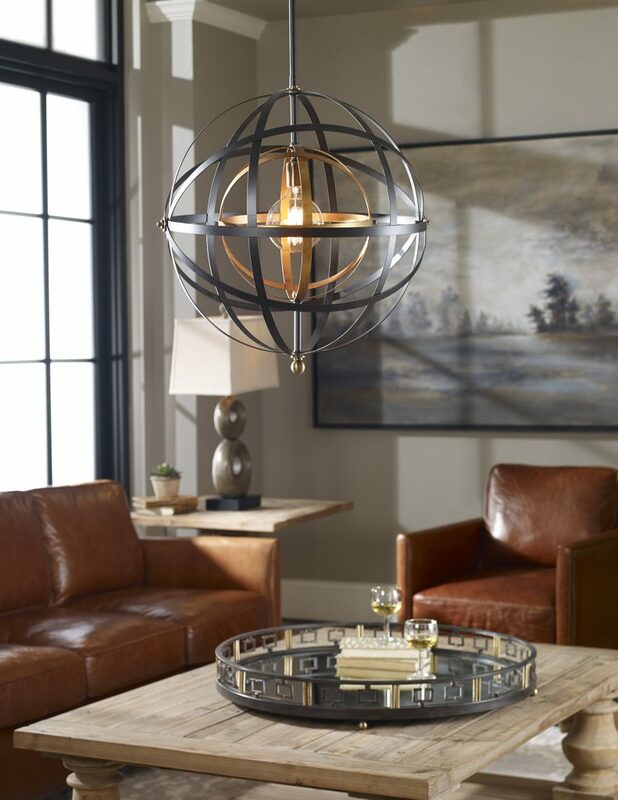 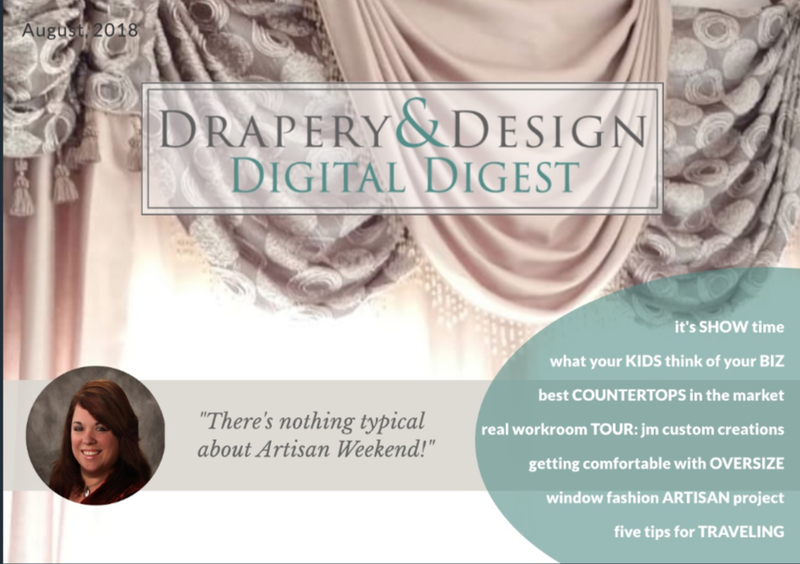 The September 2018 issue of Drapery & Design Digital Digest is here! 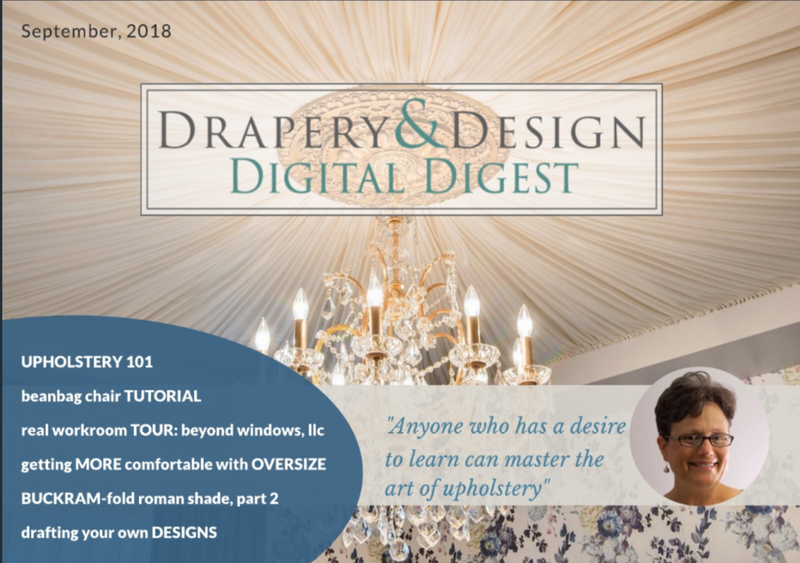 The August 2018 issue of Drapery & Design Digital Digest is HERE! 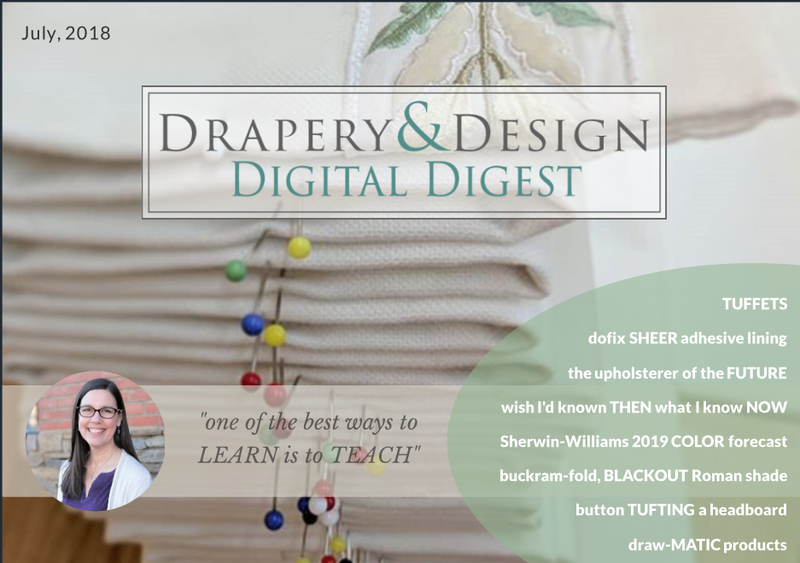 The July 2018 issue of Drapery & Design Digital Digest has arrived! 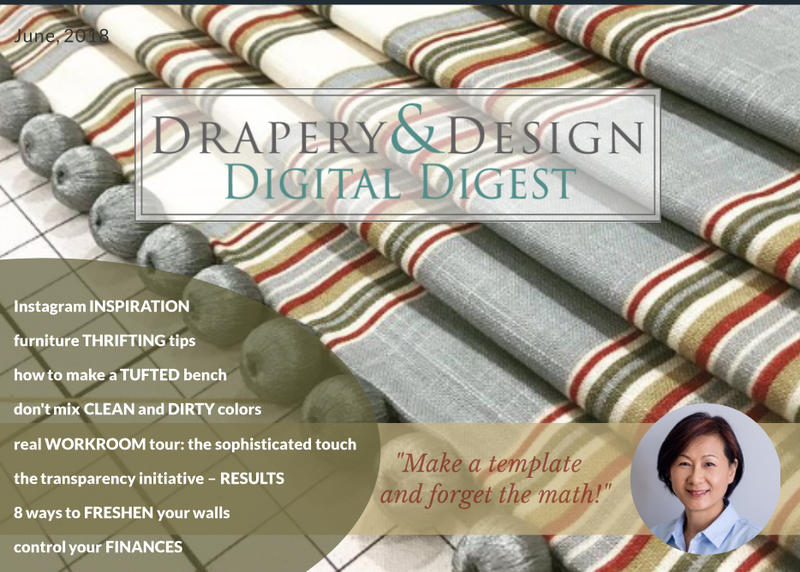 The June 2018 issue of Drapery & Design Digital Digest is ready!